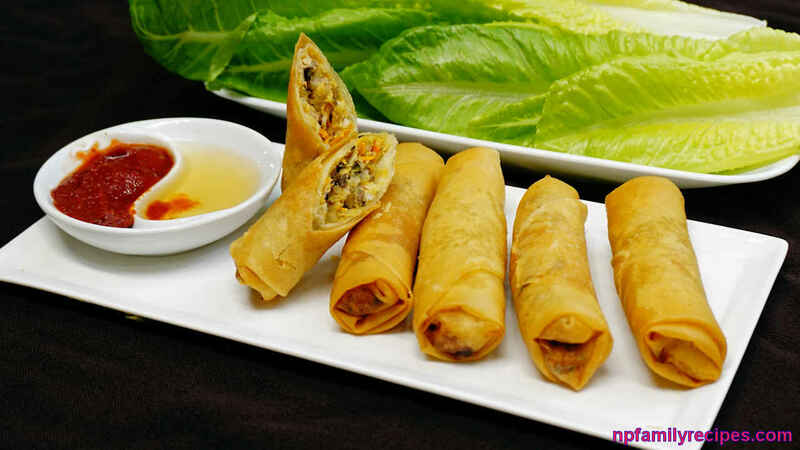 One of Vietnam most popular appetizers, Vietnamese Egg Roll (Chả Giò). 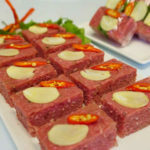 It’s usually served in holidays and celebrations as an appetizer dish. 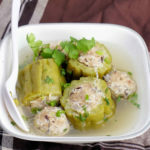 It is also served in many other popular dishes such as rice noodles with egg rolls. Some people also have it for breakfast. 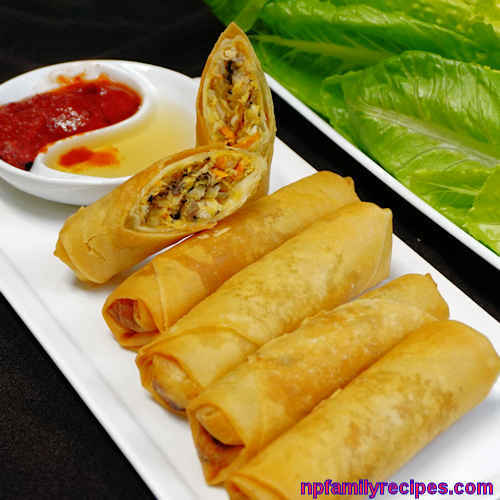 One of Vietnam most popular appetizers, Vietnamese Egg Roll (Chả Giò). 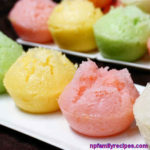 It is also served in many other popular dishes such as rice noodles with egg rolls. Soak dried black fungus in hot water for 10 minutes. Rinse and drain well. Cut taro root into quarters or chunks. 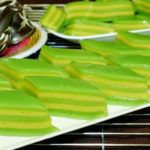 Slice and cut chayote into thin strips. Mince black fungus coarsely by using a food processor. Shred taro root and carrots by using a food processor with a shredder attachment. 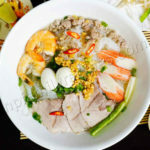 Place chayote, yellow onion, black fungus, taro root, carrot, shrimps, ground pork, and ground chicken in a large bowl. Crack 3 eggs into the bowl. Add ground black pepper, salt, and garlic powder. Mix until well combined. In another small bowl, crack the remaining egg. Stir well. Place 1 wrapper on a cutting board with a corner pointed toward you. 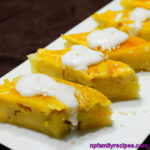 Place about 1 tablespoon of filling on an upper middle edge of the wrapper. Fold the top edge over the filling. Fold left and right sides over the filling. Then roll downward. Brush remaining edge with beaten egg to help seal the roll. Continue to roll down until it is closed. 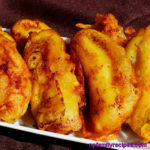 Place the egg rolls into a deep fryer with boiling oil. Cover the top. Deep fry for 12 minutes at 340°F. 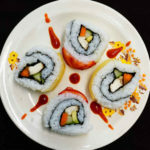 Then place the rolls on a paper towel. We usually have it with Vietnamese Dipping Sauce and salad. 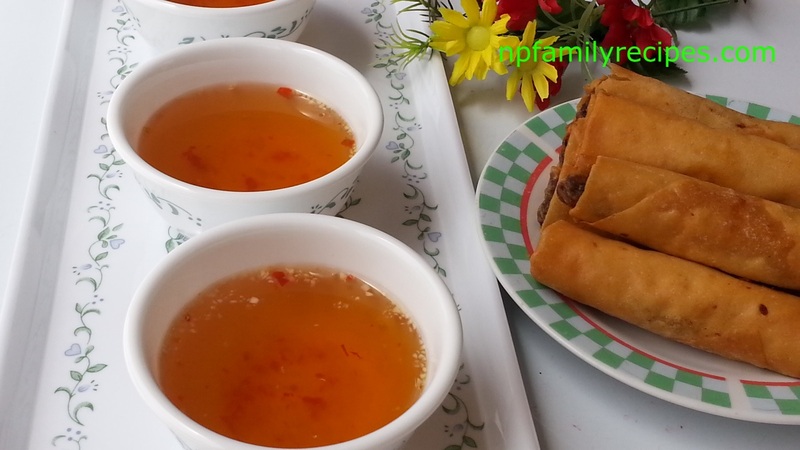 This entry was posted in All Recipes, Chicken, Pork, Shrimp and tagged cha gio, chicken, NPFamily Recipes, pork, recipe, vietnamese eggroll by NPFamily Recipes. Bookmark the permalink.